Ho Chi Minh City Hall officially known as the People’s Committee Building. It’s French colonial city hall built in the early 1900s. Its French builders drew inspiration from town halls in Europe. The building was known as the City Hall of Saigon before 1975, now the headquarters of the People’s Committee. Ho Chi Minh City Hall is closed to the public as it’s an official Vietnam government building. 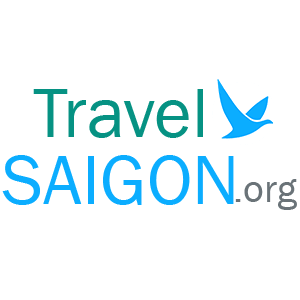 It is beautiful French Colonial architecture and sunny cream-and-yellow hue, make it a tourist favorite and a symbol of Saigon, one of the city’s most iconic landmarks. 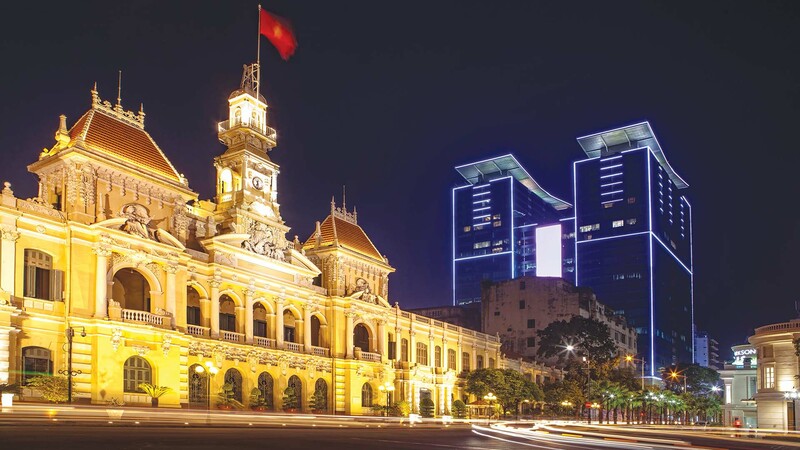 The building stands at one end of Nguyen Hue Boulevard on Le Thanh Ton Street, a brisk walk away from Dong Khoi Street. 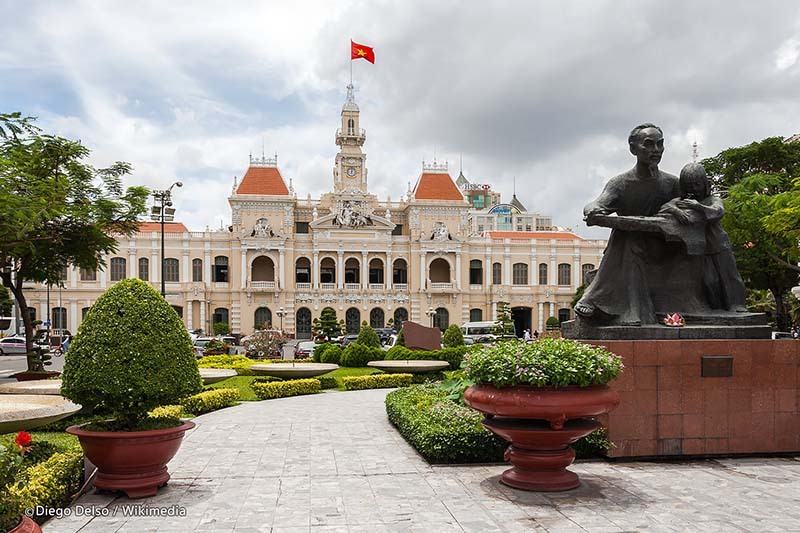 Ho Chi Minh City Hall has three buildings with embossed statues of animals and people, intricate bas-reliefs on the walls, as well as a statue of Ho Chi Minh in front of the main building. 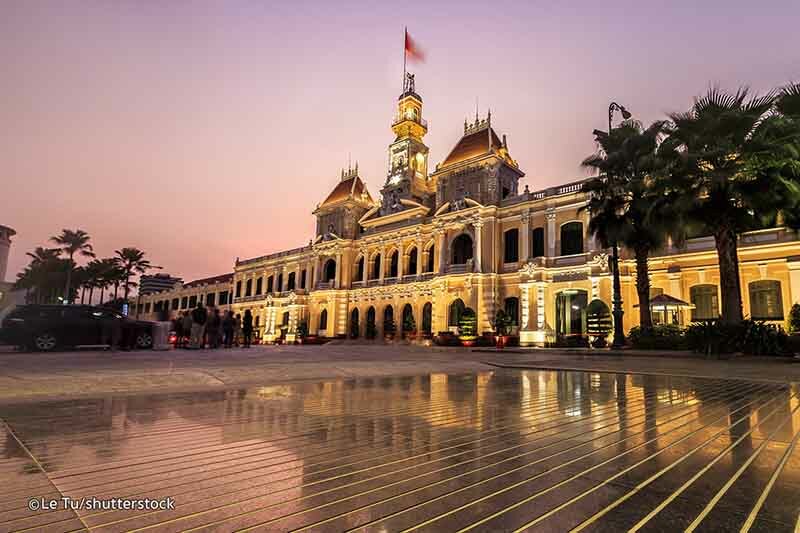 The best time to visit HCM City Hall is in the evening, as these features are beautifully illuminated with lights. 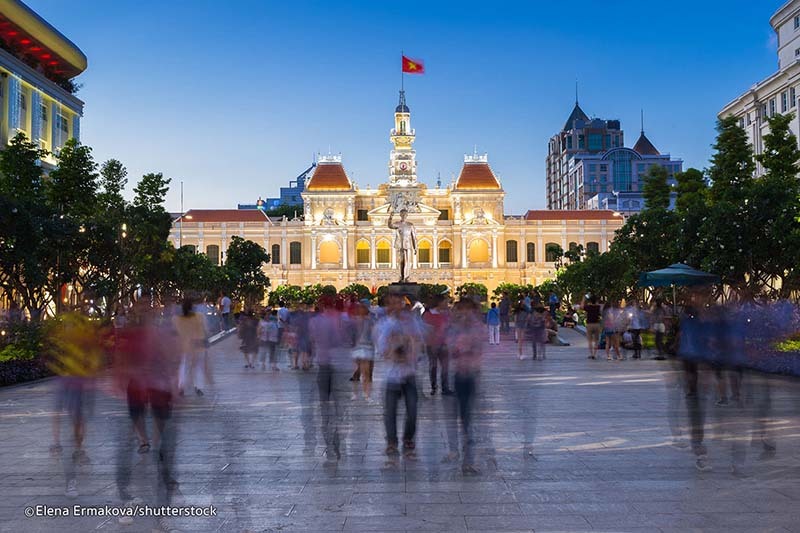 An ideal sightseeing excursion would be strolling on Nguyen Hue street to visit the Saigon Opera House and Notre Dame Cathedral, followed by some retail therapy at the shopping centers. In the evening, make your way to the People’s Committee Building for breathtaking sunset shots, before ending the day with drinks at Rex Hotel Rooftop Bar.